Let’s face it…we all have different tastes and we don’t always see eye to eye…but in life, the things that really matter are usually the ones we all can relate to…if we could only find the right words. We want to be more than your favorite radio station…we want to be one…with you…on the things that really matter. We want to know you, the real you. Why? To spread the message that we’re unified and while our stripes might be different, our stories are the same. What song tells your story? We all have that one song, the one that says what you’re feeling and reminds you that you’re not alone. 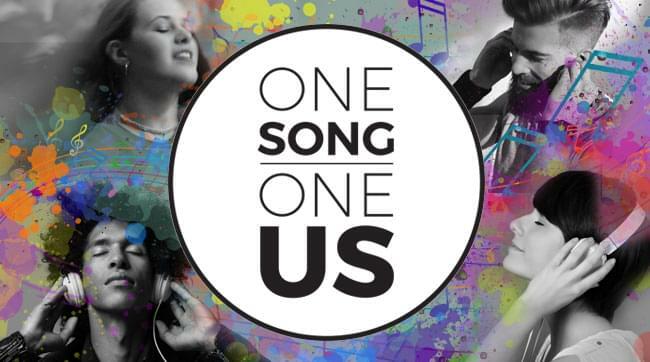 One song, one us…what’s your story? What’s your song? Share your story now and join us in becoming one – then listen weekdays at 2pm for your story, your song, your message. Healing each other one song at a time. One Song…One Us.